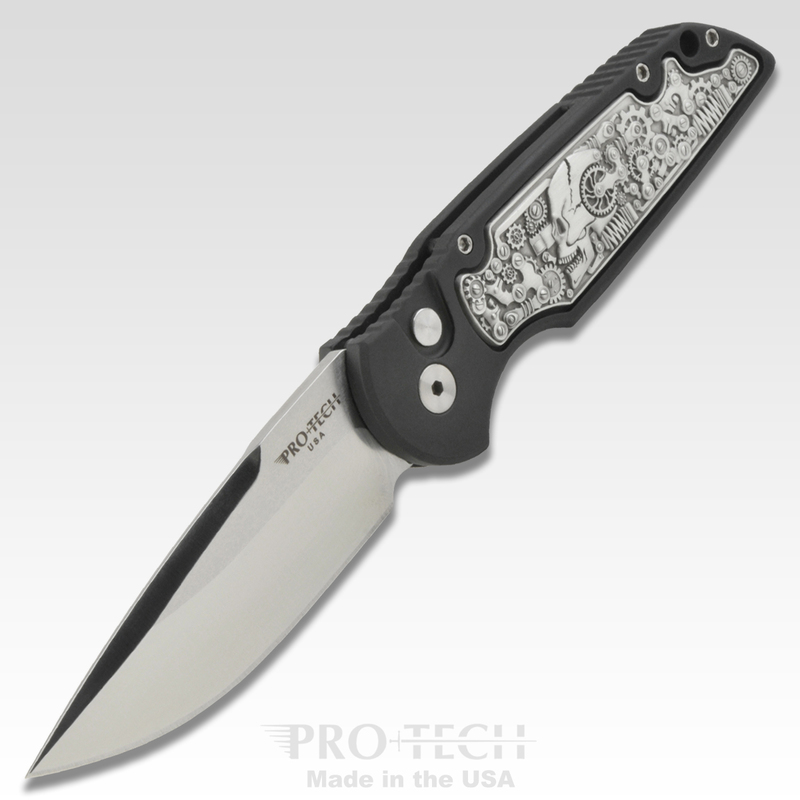 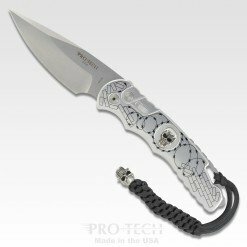 Limited Edition – black aluminum handle with coin struck STEAMPUNK inlay designed by Bruce Shaw, SATIN Blade, PLAIN Edge. 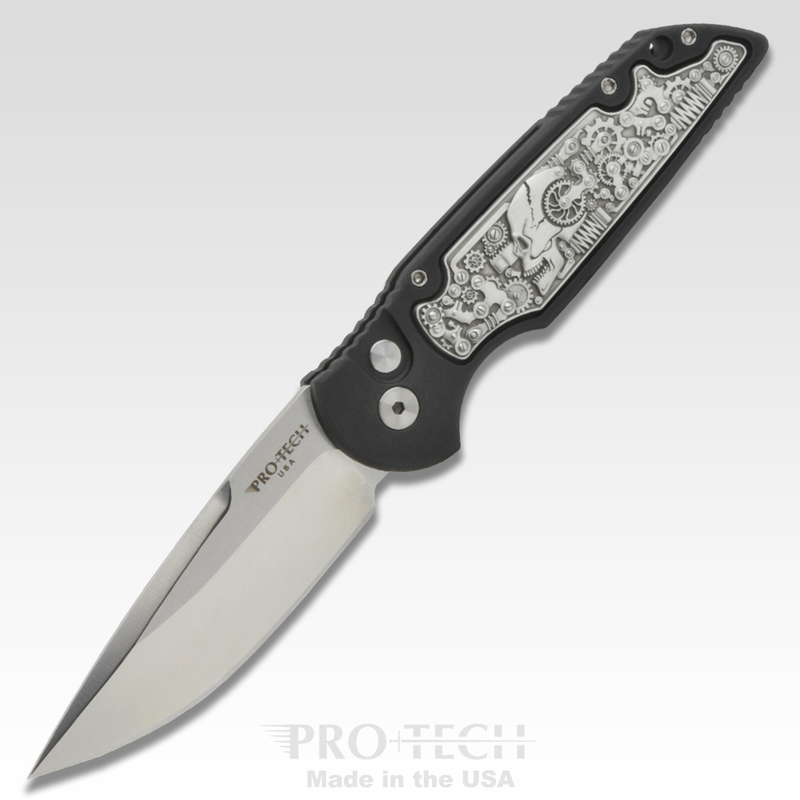 Individually serial numbered of 300. 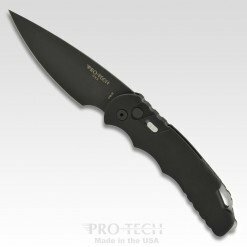 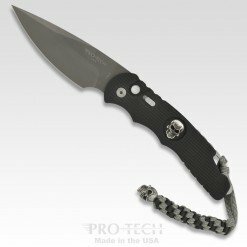 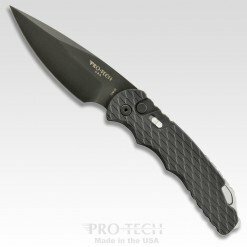 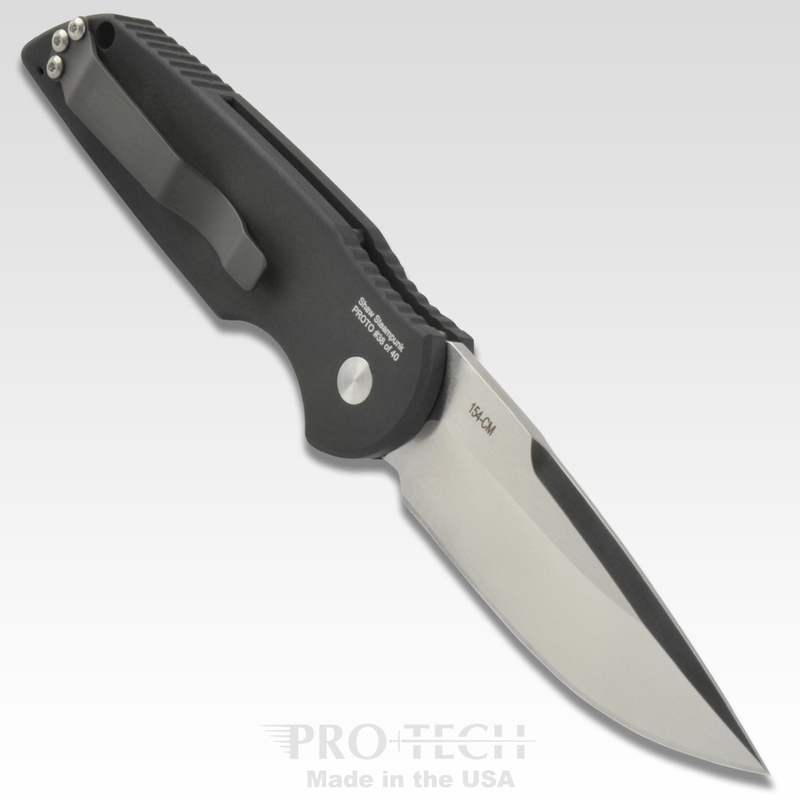 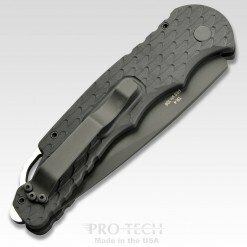 The Tactical Response 3 is one of our most popular knives with law enforcement and military year after year. 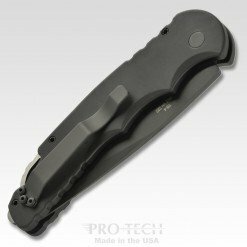 Trusted by the most elite military on the planet, the TR-3 is a thoughtfully designed 3.5” blade automatic knife that is slender and easy to carry. 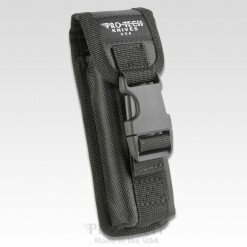 A wide variety of TR-3 variations are offered and each is outfitted with a convenient lanyard hole and pocket clip. 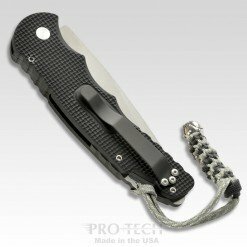 Limited Edition – black aluminum handle with coin struck EAGLE (stars and stripes in hard enamel) inlay designed by Bruce Shaw, BLACK blade and Hardware, Plain Edge – individually serial numbered of only 200 made!